Body Transformation: Doug Del Gaudio Turned Hard Rock Into Hard Muscle! All Doug ever wanted to be was a rock star, but when it didn't work out, he turned to fitness. See how bodybuilding changed his life and shaped his physique! All I ever wanted to do was play music and be a successful rock star. I was voted "most likely to become famous" as a high school senior. I was fortunate to live the band life for six good years. Hustling, traveling with friends, making records, and playing shows with my favorite bands was unbelievable. It was my life until it all fell apart. I&apos;m a firm believer that all things happen for a reason. Even though my music career fell short and it seemed hard at the time, rocking shaped who I am today. Fellow musicians can relate; you constantly have something to prove and more to strive for. When that goes away, you look for an outlet to fill the void. For me, it was fitness. My family history includes a heart condition that I wanted to avoid, so I did a complete 180, ditched the nonstop partying, and changed my diet. I settled into a 9-5 career and started to research fitness, which led me to Bodybuilding.com. 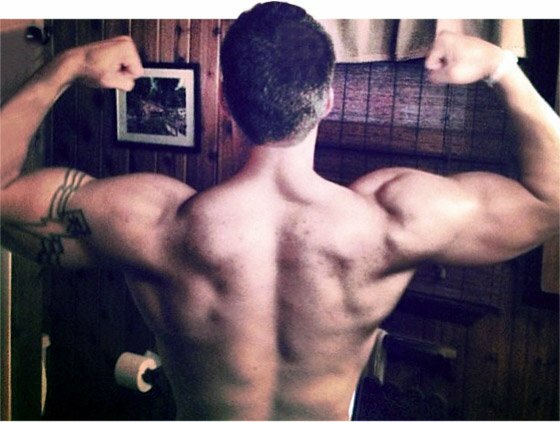 The online community with BodySpace and the informational articles propelled me into fitness full force. I had to wrap my head around the fact that I was going to make a huge lifestyle change physically and mentally. All I knew was fast food and drinking beer before taking the stage. I realized quickly that change takes time, patience, and drive. I started by doing basic research on Bodybuilding.com and created a BodySpace to soak up as much information as possible. When I had a grasp on the basics, I cut all junk food from my diet and started cooking my own food. It was the first time I ever went to the grocery store to buy items for cooking. I felt like a fish out of water but started cooking brown rice, meat, and veggies like a pro. "I look at who I&apos;ve become and can say I&apos;m a better person after diving into fitness." I had dieting down before I went to the gym, which helped in the long run. 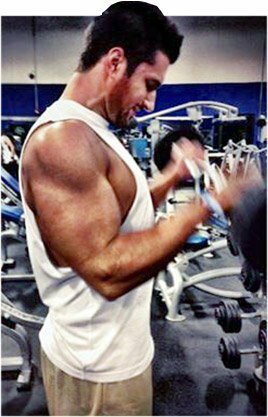 I started with a few workouts from Bodybuilding.com and went through the motions. Then I met Ryan Hughes, who taught me everything I needed to know about bodybuilding training. After training with Ryan, I figured out what worked and what didn&apos;t. This is where many people miss the boat and don&apos;t realize that different workouts work for different people. The only way to figure out what works is by tracking your progress. People constantly ask why I write everything down, and it&apos;s because if I didn&apos;t I would be lost. It comes down to having a game plan and sticking with it. This 2-3-year journey has been quite the ride. I look at who I&apos;ve become and can say I&apos;m a better person after diving into fitness. The best part is that it leaves me wanting more. I always stick with the same foods. It may be boring, but it&apos;s easy to prep and pack. "It doesn&apos;t matter if you&apos;re 300 or 100 pounds. Everyone has to start somewhere." The most challenging aspect was getting through the ups and downs mentally. When progress started to slow or I hit a roadblock, I needed to find extra drive to push myself harder. This mentality was hard to build at first. I&apos;m studying to get my ISSA certification and am preparing to compete for the first time. It doesn&apos;t matter if you&apos;re 300 or 100 pounds. Everyone has to start somewhere. Don&apos;t feel shy or embarrassed about trying new tactics or stepping into a gym for the first time. Everyone has done it. Without Bodybuilding.com, I would be lost. The site is my go-to source for new training methods and supplements with fast shipping. I will always be appreciative of the feedback and advice I received from BodySpace members.